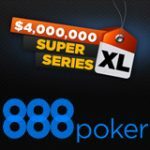 A special 888 Poker Awards Season Tournament will run on 22nd February offering $2,500 in cash prizes and $5,000 in electronic gadgets. To get a seat into the tournament players can buy-in directly for $5 or make a deposit for a free tournament token. Electronic prizes are paid out to players who finish in specific positions or eliminate the most players from the tournament. These prizes include: LG TV, GoPro Hero 4 camera, Sony PlayStation 4, popcorn machine and a poker strategy book. Get your seat to the 888 Poker Awards Season Tournament and play for your share of the cash and prizes. The tourney offers great value to players as it features added prizes for those finishing the tournament special positions. Players can get a free tournament ticket to the 888 Poker Awards Season tournament when making a deposit of at least $30. 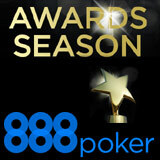 Play the 888 Poker Awards Season Tournament. 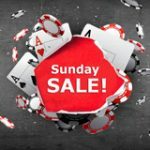 Additionally players can simply buy-in to the tournament for only $5 using cash from their poker bankroll. 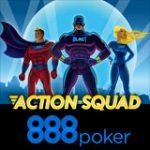 Download 888 Poker or get the 888 Poker App for mobiles and tablets. 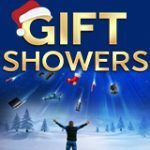 Prize winners will receive their prize as an 888poker store voucher code which must be redeemed within 30 days before expiring. 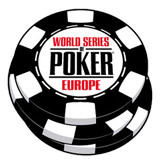 Store vouchers will be issued within 72 hours after 888poker reviews the tournament statistics and player positions. 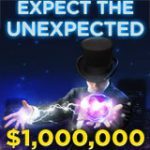 In cases where 888poker is unable to ship the prize to certain countries the cash value will be awarded instead. 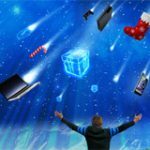 Shipping of the prizes could take up to 60 days for delivery from the date the prize is claimed in the 888poker store.